The 32nd annual exhibition of the Shenandoah Valley Watercolor Society will be held in the beautiful Park Gables Gallery of the Virginia Mennonite Retirement Community (VMRC) in Harrisonburg, September 9 thru November 2, 2018. NOTE: The submission deadline for this show is August 1! 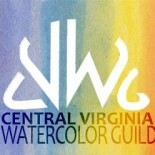 See shenandoahvalleywatercolorsociety.org for details and entry form. This entry was posted on Jul 3, 2018 by miatomaine in Call for Entries, Local Events.